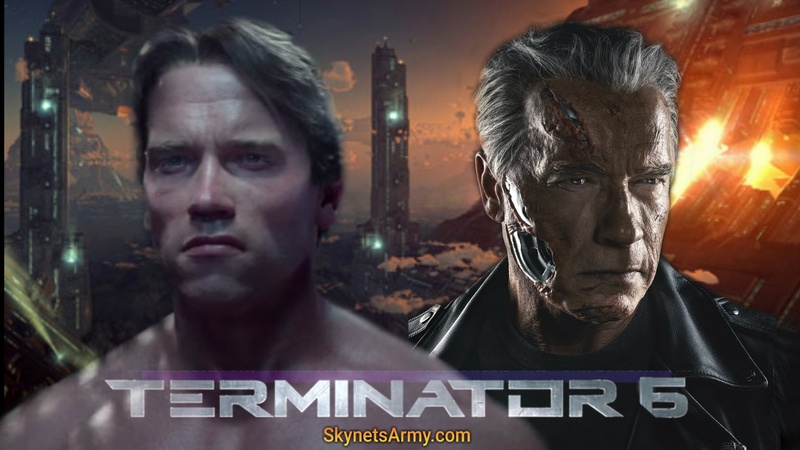 But now that we know Arnold will indeed have a role to play in the sixth film of the Terminator franchise, fans are left to wonder.. what role will that exactly be? Actor Arnold Schwarzenegger isn’t exactly a young man anymore, and will be turning 70 years of age in precisely one month from today. He still keeps himself in terrific shape, but you can only fight “father time” so much… unless he receives digital assistance. Which leads us to the first of four scenarios how Arnold Schwarzenegger can return in “Terminator 6”. 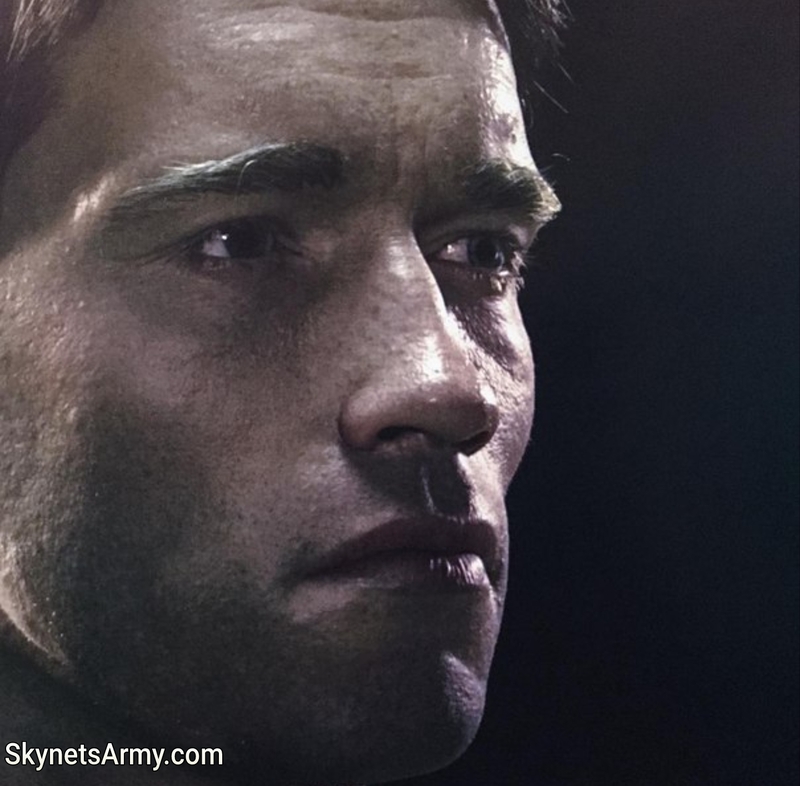 Scenario #1 – ARNOLD SCHWARZENEGGER WILL RETURN AS A DE-AGED 40-50 YEAR OLD T-800. If it’s Anthony Hopkins in “Westworld”, Robert Downey Jr. in “Captain America: Civil War”, or Michael Douglas in “Ant-Man”, the special effects wizardry in Hollywood has proved they can de-age actors now with amazing results. 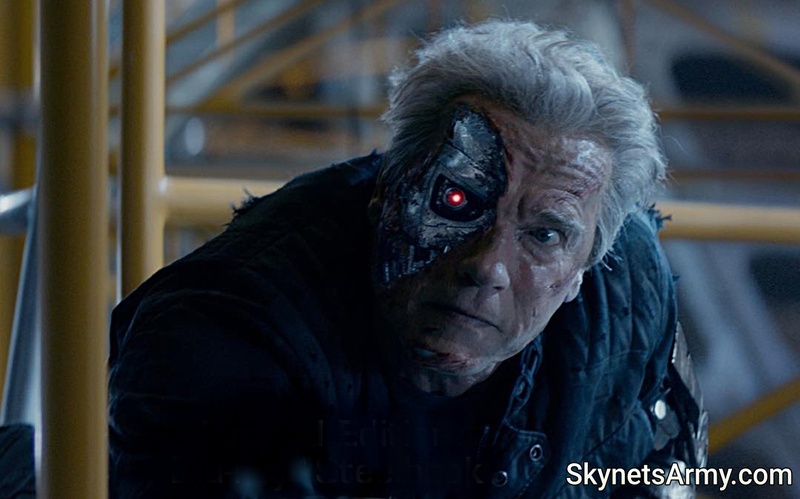 And Terminator fans have already received a taste of this technology in “Terminator Genisys” when they de-aged Arnold as the Guardian T-800 in all the 1984 scenes. With new advances made in this technology even since 2015, there is no reason to believe that Arnold Schwarzenegger couldn’t be de-aged for his entire role in “Terminator 6”. However, Arnold getting his body in top physical shape is another matter. The ability for the aging star to increase his muscle mass gets more difficult as every year goes by… and might prove very difficult down the road if more than one new Terminator movie is planned. 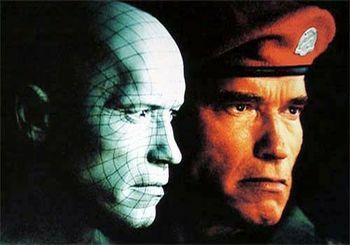 Scenario #2 – ARNOLD SCHWARZENEGGER WILL RETURN AS AN ENTIRELY COMPUTER GENERATED (CG) CHARACTER. We said on this very website, with the development of computer technology, Arnold Schwarzenegger can play the Terminator forever. And we meant it. Why can’t Arnold be a computer generated character for the entire movie? 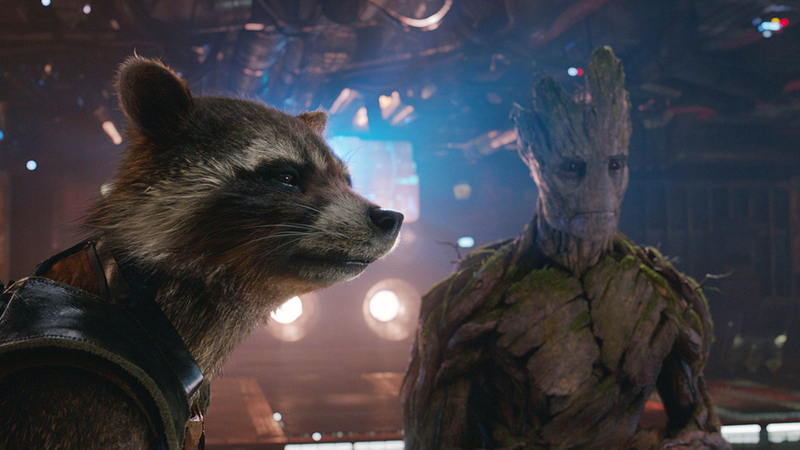 We’ve seen photo realistic characters star in movies before in clothing and out… just look at Rocket Racoon and Groot from “Guardians of the Galaxy”! Of course, those are non-humanoid creatures. And we realize it is an incredibly difficult task for digital effects artists to recreate any human being digitally and make them look really human. 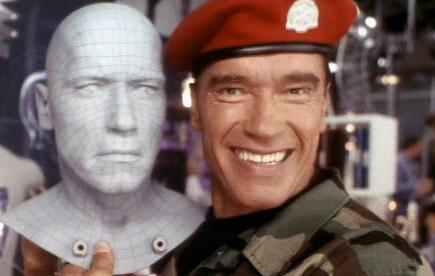 But what makes Arnold Schwarzenegger as the Terminator an easier task is the fact that FX artists are not recreating a human being with all their unique subtle mannerisms… but an emotionless cybernetic organism… a robot in a human’s body that speaks minimal dialogue. This simplifies the recreation process dramatically for special effects workers. So all Arnold would need to do is wear a motion-capture suit, say his lines, and let the special effects magicians do the rest! Which will also be the case if Terminator 6 turns out to be fully an animated film (considering that, except for “Deadpool”, anticipated director Tim Miller’s whole career has been strictly in animation). Or, we can always let Arnold just be Arnold, which leads us to…. 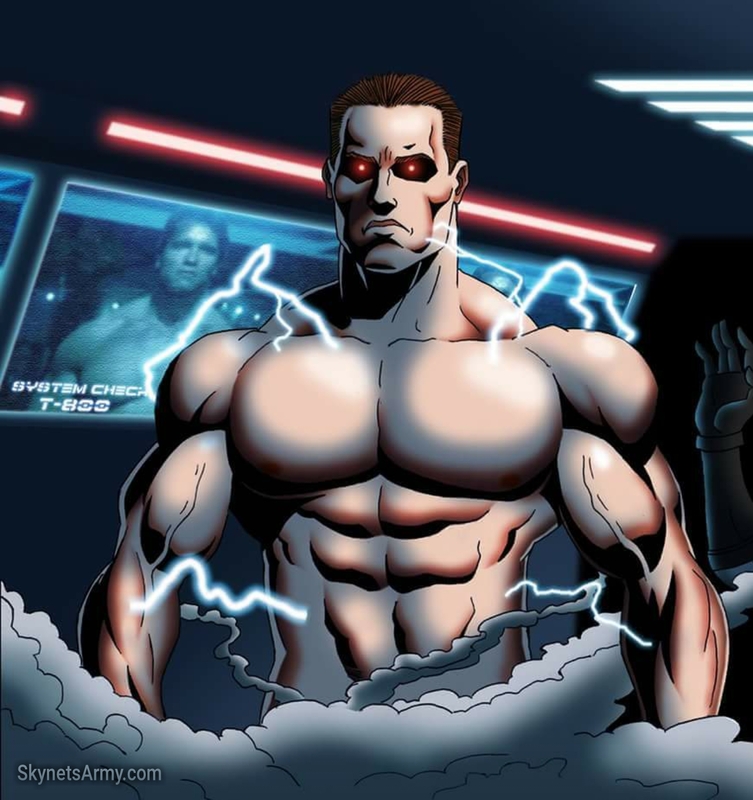 Scenario #3 – ARNOLD SCHWARZENEGGER WILL RETURN AS HIMSELF, AS AN AGING TERMINATOR. 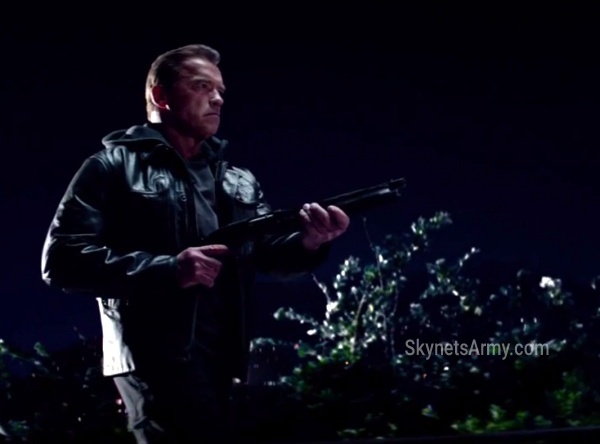 Even though Paramount Studios decided to pass on completing the rest of the “Terminator Genisys” trilogy, Skydance has every power and legal right to continue with “Pops”, the aging Guardian T-800 Model 101 Terminator that raised young Sarah Connor since she was 10. Actually, this aging Terminator concept was originally a brainchild of James Cameron, one of his few contributions he made to Genisys, the latest film of the franchise. So it would be no surprise if both James Cameron and David Ellison wanted to continue with the aging T-800 plot thread in a direct sequel to Genisys, loosely attached to Genisys, or in a brand new story entirely. 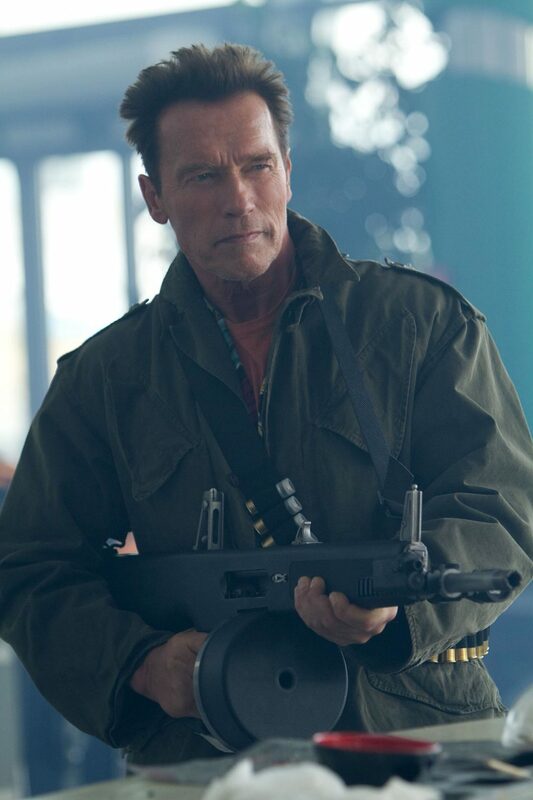 Scenario #4 – ARNOLD SCHWARZENEGGER WILL RETURN AS HIMSELF, AS AN AGING HUMAN (POSSIBLE RESISTANCE FIGHTER). From novels to comics to fan fiction, this idea has been theorized before. 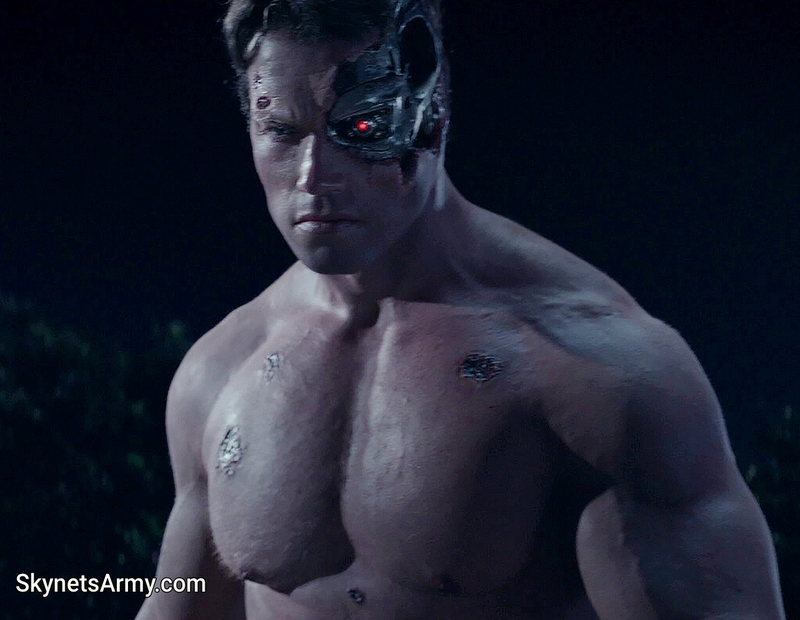 Where did the human DNA come from that the Model 101 T-800 Terminator was based on? It was even theorized in a deleted scene from “Terminator 3: Rise of the Machines”. This is where Chief Master Sergeant William Candy (Arnold Schwarzenegger) was a member of the United States Air Force’s Combat Control career field. Sgt. Candy was selected by Cyber Research Systems as the physical model for the artificial skin of the Cyberdyne Systems Model 101 for the Terminators. However, Candy’s jovial Southern voice was ultimately discarded… just like the scene itself. Of course, Arnold Schwarzenegger playing a human doesn’t have to end up being a Resistance Fighter. He could be a computer technician, or a scientist, and even a scientist bunkered up, alone years after Judgment Day… regretful over his involvement with creating the machines. With the right creative writer, the possibilities are endless. So there you have it. Whatever scenario Arnold Schwarzenegger’s role will ultimately be… (which could wind up being a combination of more than one), we can’t wait to see the big man one more time in Terminator 6! Previous PostThe U.S. release of “TERMINATOR 2” in 3D will only show in AMC Theaters its first week?Next PostWhat do Terminator fans want to see in “TERMINATOR 6”! 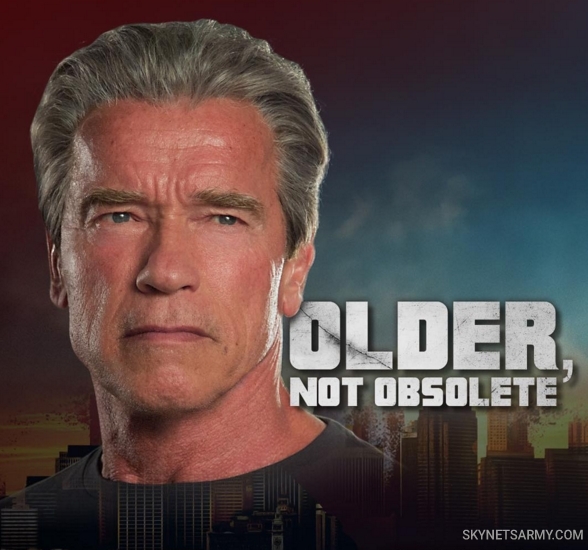 I believe the aging Terminator still has a lot of potential. Cameron should explore that more as well as what it means to be human.